Today at the Seventeen press day the gorgeous make-up artist said to me 'we just don't shop the Seventeen counter'. She was right. This was in reference to the fact the products are brilliant, and feel fabulous on the skin and yet so many people don't even browse the stand due to still remembering their teen days of hair mascara and blue eyeliner. Seventeen is no longer that brand. The huge range includes luxury feel concealer Phwoarr which is super soft and glides on, the cc cream with SPF 25 and the new off the walls nail metals which look like marble over a white polish. The packaging is fun and clean and the colours are perfect for so many skin tones. 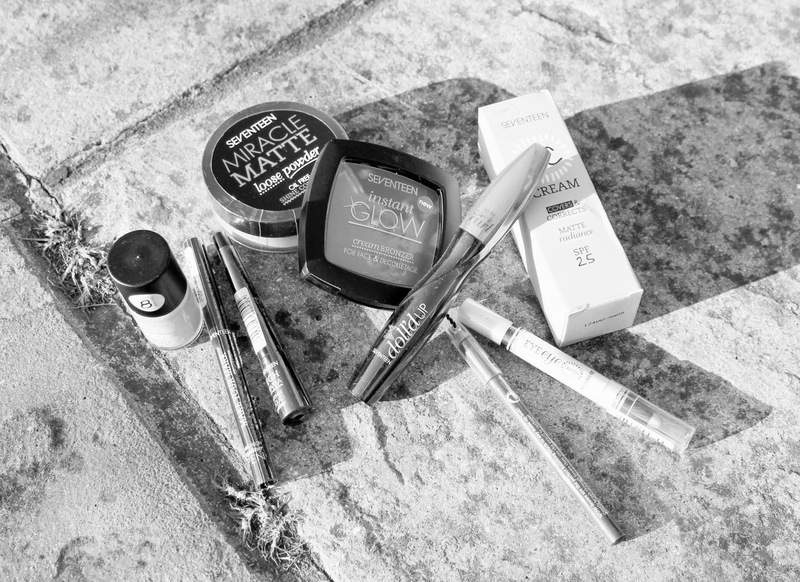 I am extremely excited about having a full on try out of the above Seventeen stash and will give you my low down on whats hot and worth swapping into your make-up bag soon.